Angell Conwell in "Confessions" out on DVD TODAY... GO SEE IT!!! 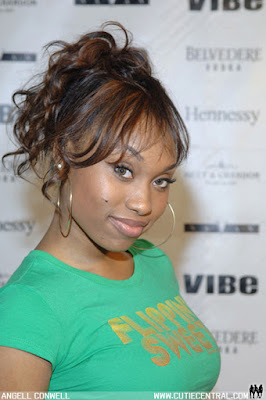 Some actresses get lucky, while others, like Angell Conwell have talent. Take a moment to go see Angell's talent today in the new film "Confessions" where she stars along side Clifton Powell, Lynn Whitfield and Tamala Jones. This racy film explores a controversial situation with a women and different relationships. If you loved Angell in her previous films Soul Plane, Baby Boy, Sugar Valentine, The Wash, What About Your Friends, Flossin and the most recent release Half Past Dead 2, you will absolutely appreciate Angell and her talents on a higher level after you GO RENT OR BUY THIS FILM. Also be on the look out for Angell's other films out in theaters soon including PORTAL, SHOW STOPPERS, THUG PASSION and FRANKENHOOD!! !